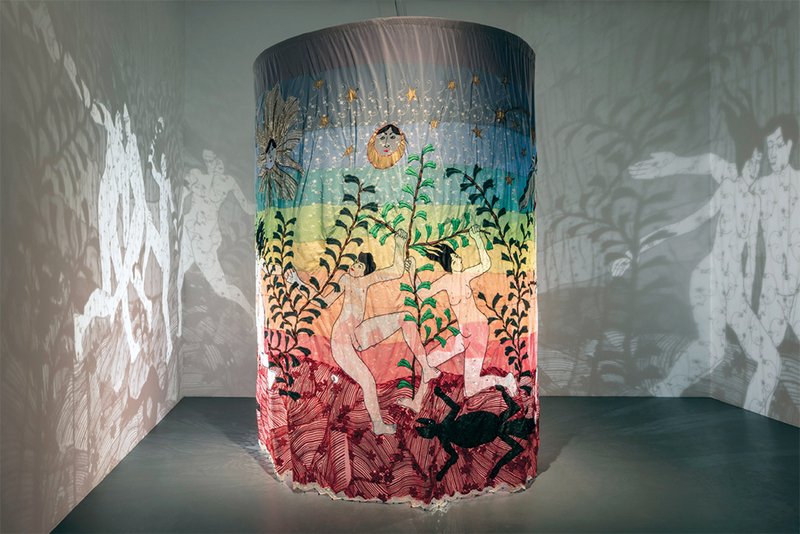 CANAN, Heaven, 2017, tulle curtains, sequins, rope, cloth, bell, light, motor. Installation view. Photo: Murat Germen.